At the beginning of the 3rd quarter of this year, we are pleased to present our revised product range. The most striking change is the new design of our control cabinets. This was developed in cooperation with Schneider Electric and focuses the special requirements of our product solutions. In order to make our product range more comprehensible, from now on our standard systems are exclusively offered with Victron Energy components. Studer product solutions are still available on request. Despite our own product design, improved product characteristics and functionality, we have been able to reduce the price of our Phoenix and Multi Power control cabinets by up to 15%. 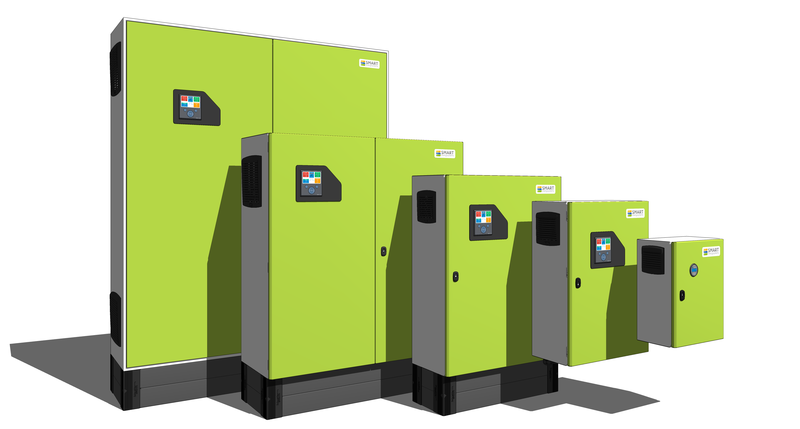 With the new 3-phase Quattro Power systems, we offer plug’n’play solutions for power requirements up to 30kVA. You can find more information on our new products here.